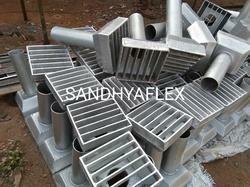 Sandhya Enterprises manufacture and Supplier of Drainge Spout for Rain Water Collection. 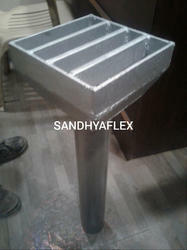 A drainage spout is a vertical pipe for carrying rainwater down from a platform. 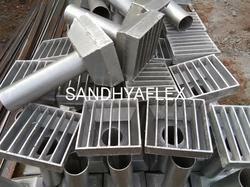 It is made from mild steel and galvanized to prevent corrosion or rusting due to water flowing through the pipe. 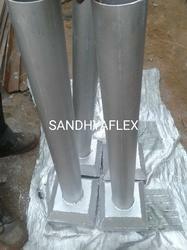 Drainage spouts are manufactured and supplied according to MORTH specifications. 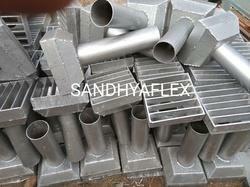 Our range of Dranges Spout and as per customers Drg. 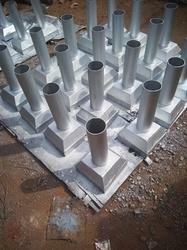 A drainage spout is a vertical pipe for carrying rainwater down from a platform. 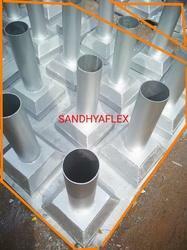 It is made from mild steel and galvanized to prevent corrosion or rusting due to water flowing through the pipe. 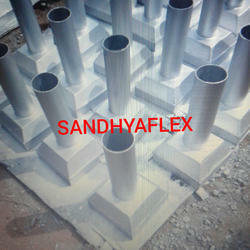 Drainage spouts are manufactured and supplied according to MORTH specifications. Our range of Deranges Spout and as per customers Drg. Looking for Drainage Spout collection for Rain Water ?